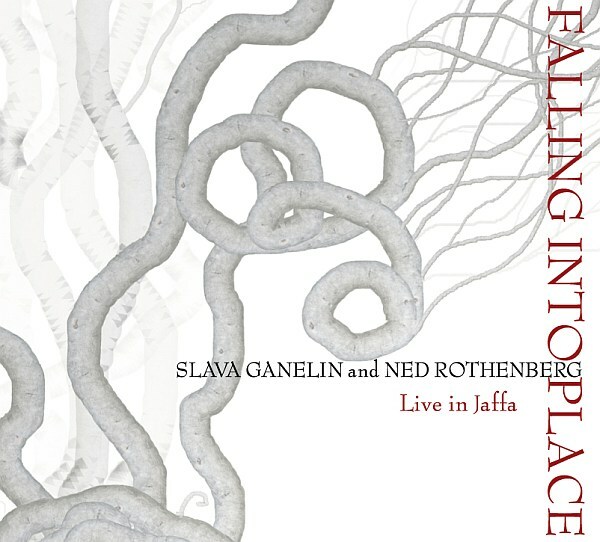 Pianist and composer Slava (Vyacheslav) Ganelin is known for his assertive power trio in Russia and his leadership within the Israeli free jazz scene since emigrating there in 1987. In contrast, New Yorker Ned Rothenberg is known for his work stateside with Catherine Jauniaux and the Double Band (with Harris and Thomas Chapin) among others. Together the two artists have created a multi-directional dialog between peers of equal stature. Opening the set is a rather contrary solo clarinet accompanied by triggered percussion. The follow-on 34 minute keyboard improvisation begins with a piano interlude and evolves into a masterful tour de force of swirling symphonic keys and digital percussion. The solo piece veers into frantic acoustic piano again and back into further penetrating synthesizer chordal themes. Next Rothenberg returns to the stage for an inspired set of clarinet-driven juxtapositions that require a bit of perseverance. On the last four pieces the two players together establish a unique diatribe between alto sax and acoustic piano by allowing melody lines to occasionally intertwine. Reliance on chordal progression is dismissed (much like Tim Berne and Craig Taborn’s interactions). Tempo jumps and the mood frantic, but the synergy created is precious. Engineered live by Udi Koomran, the live set features a wide dynamic range from quiet passages to brash assertions. Overall it’s was hot night at the small venue where this recording originate and it didn’t disappoint the audience or the performers.